Abstract Maneuvers: QXT's, NJ - November 21! 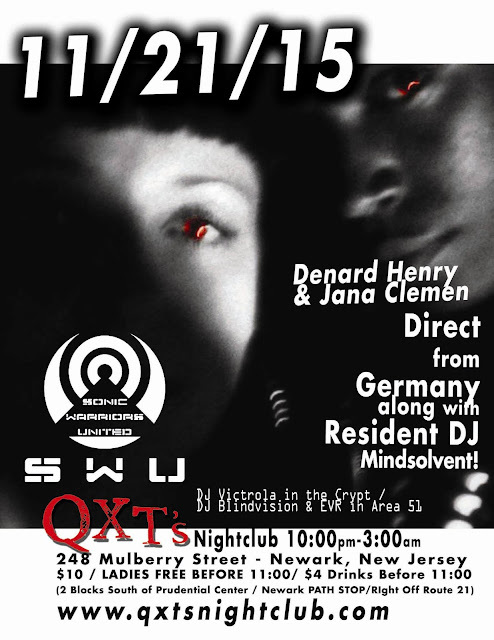 QXT's, NJ - November 21! QXTs is New Jersey's longest running alternative dance club. For over 20 years, QXT's has given fans of alternative music a place to spend their Friday and Saturday nights, with each night offering a variety of musical genres including New Wave, 80s, Goth, Industrial, Dark Wave, Alternative, Deathrock, Punk and Rock. In addition to the spacious main dance floor, there are two additional rooms which have been dubbed Area 51 and The Crypt, each with a diverse musical flare, and a plethora of characters and personalities to compliment the inviting atmospheres. All three spaces also include a bar, giving patrons plenty of options for enjoying a drink in whichever space they find themselves most comfortable in. Bossa Nova Civic Club, NYC - Nov.19!